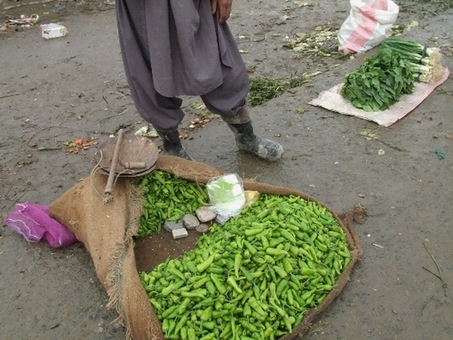 Afghans culturally eat hot peppers with a hot meal. But these green hot peppers are not from the afghan local seeds, they are imported from neighbouring Pakistan from big commercial farms. There are a lot of complaints about the taste.